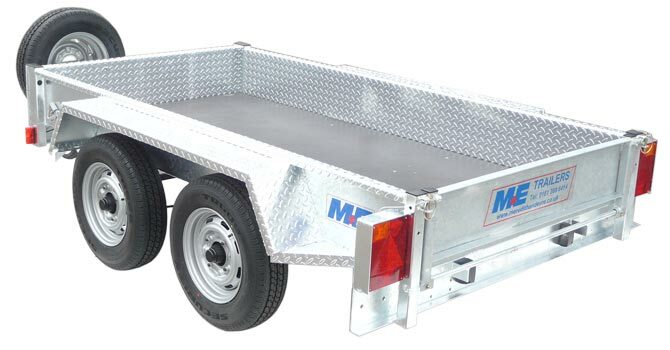 The MEG2684 Tandem Axle 8’ x 4’ Goods/Plant trailer is built to last, with a heavy duty draw bar arrangement, and a Locking 50mm Ball Coupling as Standard. 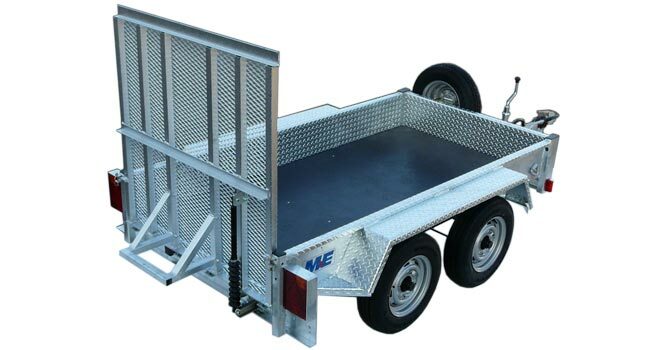 A Forged 40mm Eye Coupling is also available, as a no cost option. 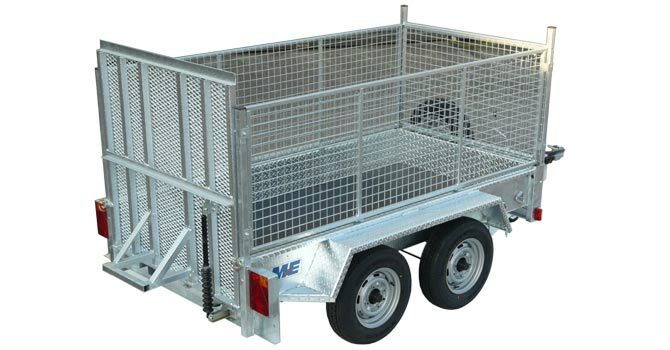 The MEG2684 Trailer has a fully welded heavy duty chequer plate body which is Hot Dip Galvanised, as are the optional Loading Ramp and Weld Mesh Side Extensions. 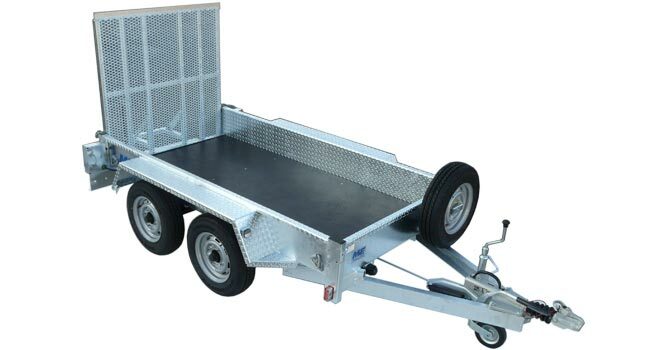 The Floor of the trailer is made from 12mm high density plywood with a tough, slip resistant waterproof resin coating on both sides, and an Aluminium tread plate covering is also available. 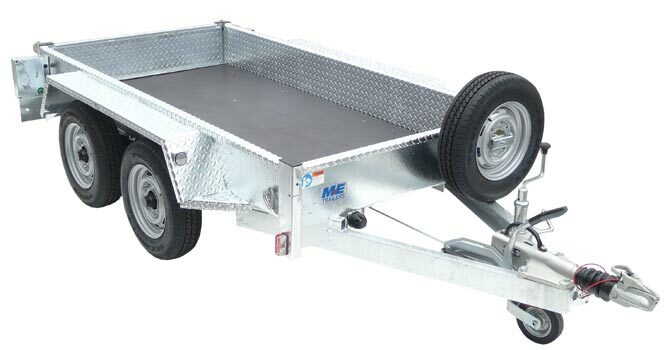 Download a full trailer PDF Brochure.